AnyMeeting is getting a whole lot better. Become a beta tester and you’ll be the first to see all the new features. 6 Presenter Simultaneous Video Conferencing – Up to 6 presenters can now broadcast their webcam and/or microphone at the same time. Faster Screen Sharing – Our developers have worked hard to optimize the software behind the scenes. This means screen sharing is now faster than ever. New Preview Screen – Many presenters have requested this feature. Now you can see the same view as your attendees. Echo Cancellation – Feedback and echo are dramatically reduced with the new version. Your meeting attendees will hear you loud and clear with or without a headset. Ready to try the Beta version? Read the Beta FAQ and then submit your request through our knowledgebase – make sure to enter “Beta Test” in the subject line. Sorry, the Beta test is maxed out. Don’t forget to watch our Beta Tutorial Video. Previous Entry What’s the Difference Between Web Conferencing, Webinars and Webcasting? Hey guys! you rock. We love using anymeeting for our weekly meeting and training session! can I get an invitation as well for the Beta version? Sure thing. You can submit your request through our knowledgebase – make sure to enter “Beta Test” in the subject line. Enjoy! I would like to become a beta tester, can I receive an invite please? Of course. Please submit your request through our knowledgebase – make sure to enter “Beta Test” in the subject line. This is great stuff!!! I have already requested to help with Beta Testing!!! Thanks! I almost jumped out of my seat when I read the newsletter about the new AnyMeeting software. I am such a huge fan of the current service. I’ve been using it since Freebinar for all of my training and meeting webinars. So excited to see the new features in action. AnyMeeting is so intuitive and the ease a new webinar presenter experiences is amazing. From trepidation to total confidence. I am now 5 webinars in my rearview mirror and they were all successful. Thank you. I too would like to be invited to be a beta tester. Is the new beta version also for Mac? or Windows only? AnyMeeting Beta works on both Mac and PC. The main difference is that screen sharing on a PC offers additional functionality allowing you to choose a specific application or monitor you would like to .make visible to your attendees. I was hugely impressed with AnyMeeting when I used it – particularly the simple way in which replays are processed … that’s a major positive difference between you and your competitors. The final thing that is stopping me from making the final switch is the ability to get attendees on a microphone so we can chat/interview during webinars. From what you say in the article above ‘Up to 6 presenters can now broadcast their webcam and/or microphone at the same time’ is that the solution? To make an attendee a presenter so you can talk to them on their microphone in the webinar? 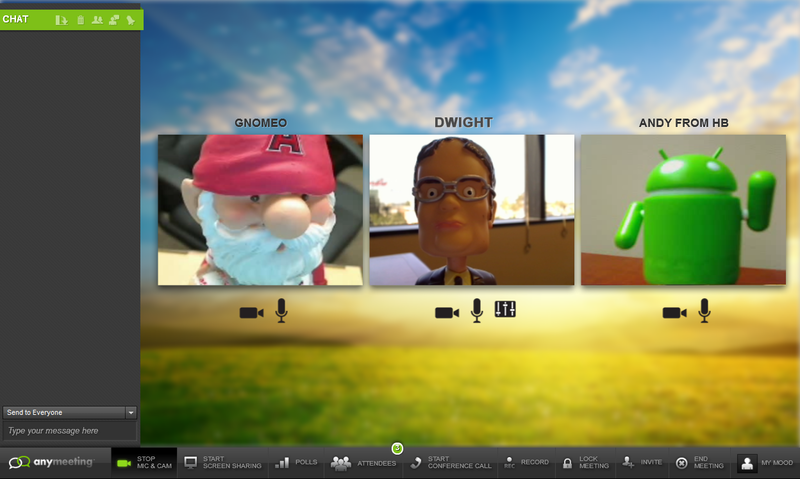 You are correct, the Beta version of the new AnyMeeting will allow you to conference with 6 people at a time. All you have to do is click on the person’s name in the attendee list and click Make Presenter. They will then be able to broadcast their webcam and/or computer microphone. Love anymeeting! Can’t wait for this new software. I have a Group of Friends who are huge Fans also. I’m all set-up with a New-Account to be considered for a Beta-Tester. With the new Beta launch, will you keep both the old and new versions, or will the new (beta) eventually replace the old version? Will a presenter still have moderator controls of chat and ability to place a photo? Great questions! The new AnyMeeting version will replace the existing version, once it is out of beta. The timing of this depends on the feedback we receive from our beta users. The presenter will still have moderator controls of chat. At this time there isn’t the ability to add a photo, however I have heard our product team may add this back in before Beta testing is done. Hello, I still did not get any answer to my BETA test application. Is it closed or .. ? The good news is that it should be launching to the public soon. Thanks for your willingness to participate. Any ETA on the release of the new version? Only reason I am asking is we have a seminar/webinar coming up on October 12th and want to know what to expect. The current version works fine – we have used it before successfully – but if the new version is on the horizon we will want to test and be aware of any changes. Thanks. 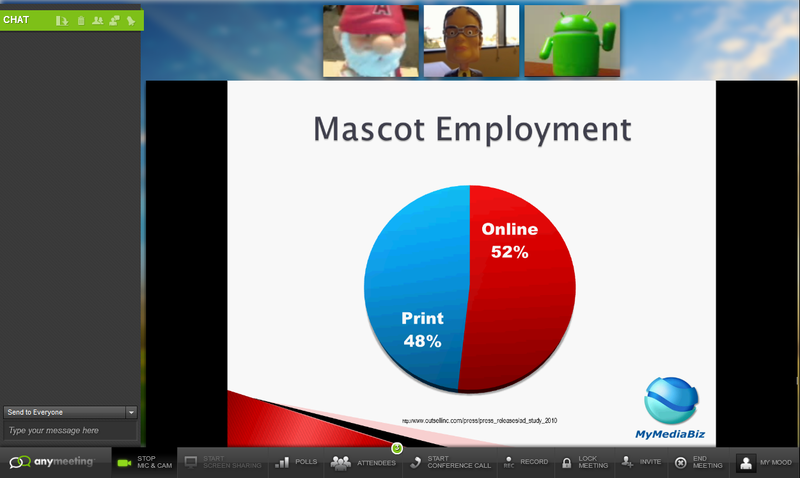 Nothing official, but it would be a good idea to be prepared for the updated version before your next webinar. Take a look at the tutorial video for a walk through.